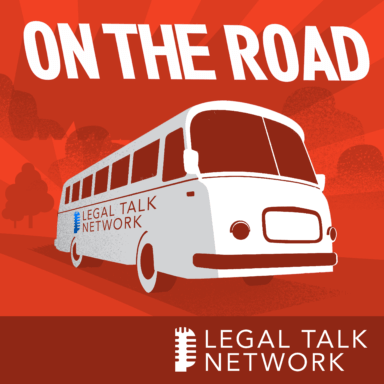 In this four-part interview, Legal Talk Network producer Laurence Colletti talks with Tom Bolt, Robert Hirshon, Chris Zampogna, and Fred Headon about their contributions and ideas for the ABA Presidential Commission on the Future of Legal Services Hearing. Together they discuss possible updates to the Model Rules of Professional Conduct, non-tech innovations to help the practice of law, how small firms and paralegals are helping with access to justice, and suggestions from the Canadian Bar Association for maintaining a vibrant and relevant legal profession. Tom Bolt is the chair of the ABA Law Practice Division as well as founder and managing attorney at Bolt Nagi where he focuses on government relations, banking, real estate, real estate finance, and estate planning in St. Thomas, U.S. Virgin Islands. Robert Hirshon is a member of the ABA’s Standing Committee on the Delivery of Legal Services. In addition he is the Professor from Practice and Special Counsel to Developments in the Legal Practice from the University of Michigan Law School as well as internal counsel from Verrill Dana, a regional law firm in New England focusing on management issues. Chris Zampogna is an ABA Delegate and immediate past president of the Bar Association of District of Columbia. Has his own small firm in D.C. primarily focused on litigation. Fred Headon is in-house counsel for Air Canada in Quebec and past president of the Canadian Bar Association where he chaired the CBA’s Legal Futures Initiative to encourage more innovation, change regulation of the profession, and educate lawyers differently.